We noticed Google testing red stars in both their AdWords ads and for reviews in the regular organic search results last week. 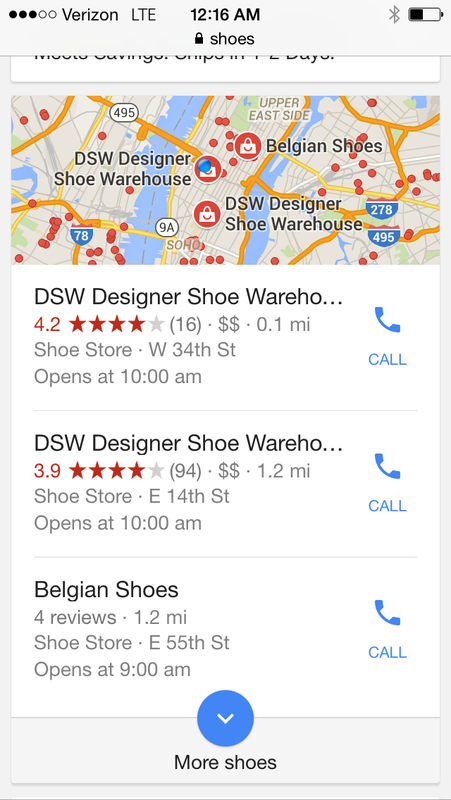 They are now also testing it in local 3-packs as well, and in the mobile search results too. 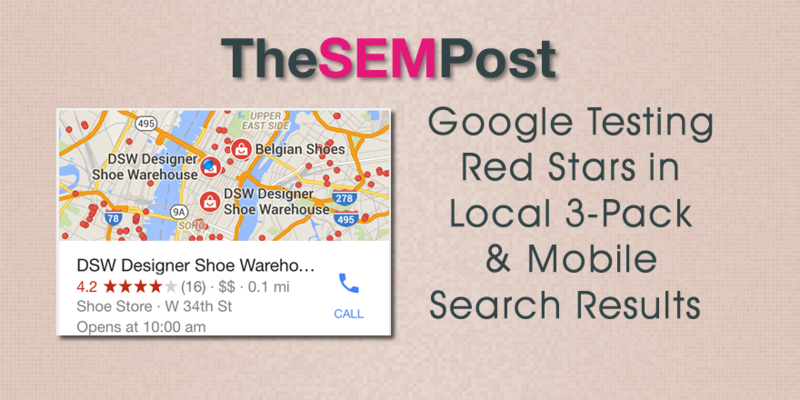 Google began testing red stars a week or so ago, in both AdWords and the regular organic search results, one of many star-colored tests they have run over the years in the Google search results. But it still seems that it is only a test and not something that is being unrolled to more search results. It also shows that they are testing these red stars in the mobile search results as well, and not just the desktop results.